As far as household and commercial fires go, it wouldn’t be so surprising to hear that the most common causes would be things like faulty electrics, cigarette burns and other human error such as leaving an iron on a shirt or hair straighteners on the carpet. Few fully appreciate however the danger that white goods can pose. Here we take a look at the problem, and provide a few tips for helping ensure that your home is safe from the threat that white goods can pose. So, what are the biggest fire risks? 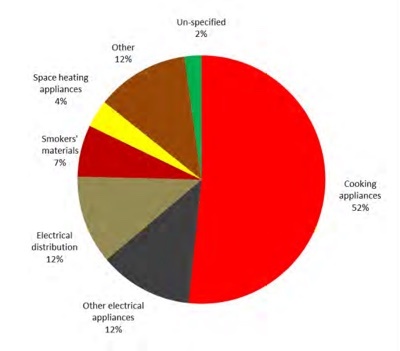 As you’ll see from the chart on the right, cooking appliances were responsible for the vast majority of house fires making up 52% of the total. 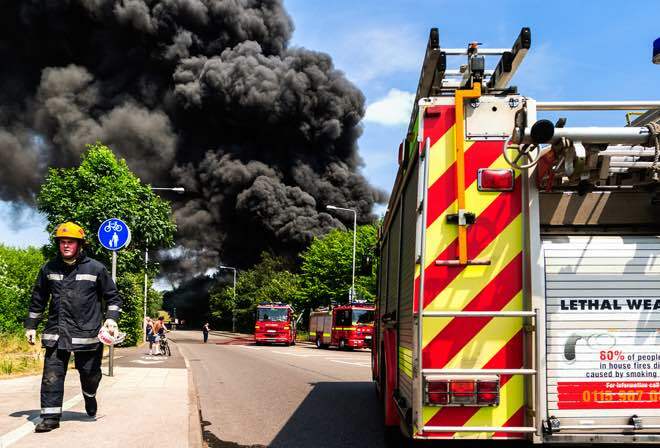 White goods such as washing machines, dishwashers and tumble dryers however constituted the second largest cause of all fires in the the year April 2013 – March 2014 being responsible for 12% of house fires. Below we list some basic common-sense steps you can take which will seriously reduce your risk, and help keep your loved ones safe. Never leave appliances unattended when they are operational… this includes everything from leaving the washing machine on whilst out shopping, right through to leaving the oven on a slow cook whilst popping out for five minutes. Obviously sometimes this is very hard to achieve but where possible, you should try. The reality is 99.9% of the time appliances are completely safe but there are exceptions and things do sometimes go wrong. If you’re in the house there is a good chance your smoke alarm would be activated or you might see or smell smoke before any blaze gets out of control. If you’re not in the house then there is no first responder and the risks increase significantly. Fit, and be sure to fully maintain, a smoke alarm on each floor of your home (which means checking the batteries every 6 months, at least). They cost as little as £5 so there really is no need to skimp. You can’t have too many and they really aren’t particularly unsightly. 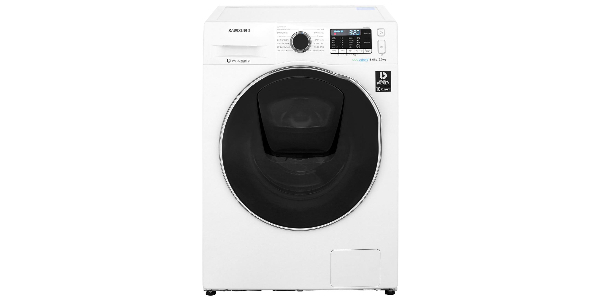 Fit them near any appliances such as tumble dryers, washing machines etc so if anything ever does go wrong you’ll find out quickly and can act to cut off the electricity to the appliance before they become too hot to approach. Keep children away from kitchen appliances as far as is possible, and educate them about the dangers involved with them. Always make sure to leave frying pans etc with the handles turned inwards to avoid curious little hands reaching up to grab them. If you have a gas boiler or hob then it’s essential (although often overlooked) to have a carbon monoxide detector installed. In some regions these can even be acquired for free from the local fire department but, if not, they only cost £10-15 and can save your life. Carbon monoxide is known as the silent killer for good reason. You can’t see it or smell it but it can kill you in a matter of hours if it escapes into the atmosphere in significant quantity in your home. This happens when the gas in your boiler doesn’t combust properly and there is a build up of the gas in your home. Always be sure to have your boiler regularly serviced as this will act as an early warning signal if your boiler is reaching the end of it’s useful life. It is a legal requirement for landlords of rented properties to provide a carbon monoxide detector in tenanted properties and will undoubtedly become law for all homes at some point in the future. Don’t wait, buy one today! Ensure that your electrics are safe by having a complete home inspection of your system. You should also regularly get your appliances PAT tested if possible and ensure that they are installed upon RCD safety circuits. This isn’t necessarily cheap and could cost as much as a couple of hundred pounds but, if you can afford it, it’s well worth it. Problems can often be detected before they become dangerous simply by testing the circuits in your home. You’ll find now if you sell your home the mortgage company will request that the buyer receives an electrical safety certificate so it is becoming more and more common to have the tests carried out. Please note, none of the above is intended to scare you and, for the most part, the electrics in our homes are very safe, it just pays to be as vigilant as possible to be sure you’ve done all you can. Somewhat worryingly, the answer is yes. There are distinct differences between the various white good brands and the frequency of the fires that they are found to be responsible for (this is despite there being a ton of EU guidance to define safety standard for our kitchen products). The consumer review company Which? 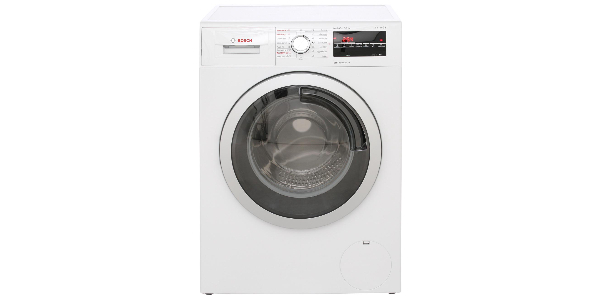 has specifically identified Hoover and Candy washing machines and Hotpoint dishwashers and tumble dryers as particular items to take care with. To this end Hotpoint has previously issued safety announcements in relation to their FDW20, 60 and 65A dishwashers, whereby they stated that they were “aware of a small number of cases of dishwashers when an electrical component has failed”, adding that “this may lead to overheating and in rare cases a potential fire hazard”.